I've been in a bit of a reading slump, which was a bit of a bummer. At least the (mostly) beautiful March weather put me in the best mood! I still feel like this year is flying by... but I'm glad that means it's finally spring. 1. Gorgeous Weather - I'm always in a funk after changing the clocks for Daylight Savings, but I do love that it doesn't get dark outside until so much later. And the weather finally started to change in March, which was a relief. I definitely took advantage of the fact that it was 80˚ at 6 p.m. Absolutely heavenly! 2. Instagram Prints - I used to be great about printing photos back when I had a camera. Now, however, I only take photos on my phone... and I haven't gotten any printed in years. After doing some research, I ordered prints of 24 of my favorite Instagram photos from Social Print Studio. I absolutely love them! 3. 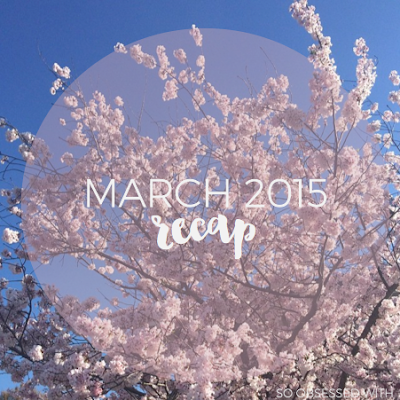 Getting Crafty - Without question, I spent most of March making stuff. I'm not usually a craft person, so I don't even know what got into me. I started out buying some traveler's notebook inserts on Etsy, and then all of the sudden I was watching tutorials to learn how to make my own. But hey, it was actually really fun! 4. My Foxy Dori Family - I blogged about my Foxy Dori this month, and I think I might have started a new trend! I ended up buying two more (I know, I'm out of control), so now I'm working on a follow up blog post about it. Now I've got to share my insert recommendations and more ways you can use it! "Some people are dotted lines and other people are destinations. Some people get you somewhere and some people are just a place to be, all in themselves. But you cannot force those dotted lines into destinations." "But knowing what happens isn't the same as knowing how it happens. Getting there is the best part." 1. The Unlikely Start of Me and Him by Estelle from Rather Be Reading - I can't even tell you how much I loved this post. In fact I texted Estelle as soon as I read it to tell her how much I related to it! I loved the romance in The Start of Me and You for the same reasons Estelle did, but I'm so glad she used it to get a little personal. 2. Is It the Author's Job? by Jamie from The Perpetual Page-Turner - Another post inspired by one of Emery Lord's books! Jamie discusses an aspect of Open Road Summer that I found realistic but provoked strong reactions in reviewers. I loved the bigger conversation about the portrayal of problematic behavior/attitudes in fiction. 3. Growing Up Literary by Renae from Respiring Thoughts - I've been wanting to write a post about my reading history for a while now, but the task seems so daunting. Reading Renae's lovely post about her relationship with books only made me determined to do it. This was a delight to read - and I related to so many aspects of it! When I fall in love with an album, I'll listen to it on repeat for weeks. That definitely happened with Mat's latest release! Can't. Stop. Listening. Parenthood, Season Five and Six: Two Christmases ago, Nick and I binged the first four seasons of Parenthood on Netflix and then caught up with the current season. But I hated one storyline in Season Five, so we stopped watching it live. Once the show ended, I decided to see what I missed. I spent March watching the fifth and sixth seasons... and dang, I never should have quit! I'm totally buying the box set now. Everlark YouTube Videos - It's no secret I'm in love with Peeta Mellark, but I also adore The Hunger Games in general. They're all-time favorites for me! 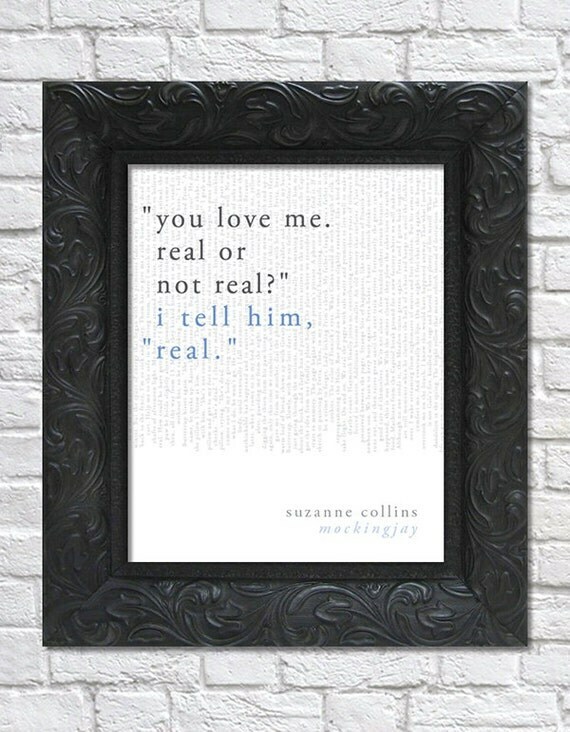 Re-reading them led to: purchasing this print from brightdesignscle, buying this paperback set, hours of searching the Peeta Mellark tag on Tumblr and watching YouTube videos. No regrets. (And yes, I love the books for way more than the romance.) Time to re-watch the movies now! I can't wait to read your review of All the Light We Cannot See! I've been hearing all about it for a while now but still have yet to pick it up. Yay for getting crafty! I am trying to do more of that at home (a lot of my hobbies are on the computer so it's hard to make time). And THANK YOU for your posts about your foxydori and getting creative. As I mentioned it's inspired me to try using a notebook and get more organized and I think it's already working! I may blog a bit about it in May and I can guarantee you are getting a huge all caps thank you if that happens. HANNAH. You read All the Light?! What did you think?? & please do another foxy dori post! I'm still not entirely sure what they are (just notebooks??) and whenever people post photos on instagram, it's always of the covers. so another in-depth post would be lovely! Holy cow, those folio society books are gorgeous! It's a good thing my birthday is coming up...I sense some book buying in my future! I'm glad you caught up with Parenthood. I'm pretty sure it will be one of my all time favorites shows. I was sad to see it end, but I think that last episode was pretty perfect. I like the weather change here too. :) Your instagram photos I remembering seeing your blog about Foxy Dori, they sound so…fascinating. Ooh, you read some books I'm dying to read. I recently bought TSoMAY and Under A Painted Sky. I'll have to check out Estelle's and Ranae's posts. :) I've already read Jamie's, which was great. I didn't know Mat Kearney had a new album out, I remember hearing Heartbeat and not really being too into it. I'm sampling the album now. I've never watched Parenthood but I heard it's really good, so I'll have to watch it sometime. Your Foxy Dori post made me want to go out and buy as many of them as possible. I love all things that have to do with organization or stationary. There's just something so wonderful about it all. You also seemed to have had such a great March. I'm just glad that not only is spring here but school is about a month away from being finished. Ahhhhh I LOVE MY PLANNER! I don't have a fancy one like a Dori but I do dress it up with different pens and washi tape and stickers and stamps! I also read The Start of Me and You recently and it was completely adorable. I love friend-to-romance stories. They're a favorite with me and it's so fun to root for those characters!